San Ramon, CA. – August 15, 2013 – Ventana Research has announced the results of the 2013 Technology Innovation Awards. The awards recognize technology vendors who have introduced innovations in technology to advance business and IT. gy vendors have done to advance the potential of their applications and technology that enable to drive better productivity and outcomes. This year's Technology Innovation Awards will present recipients with an opportunity to receive their award at the Ventana Research Business Technology Innovation Summit (www.ventanaresearch-innovationsummit.com) on November 11th & 12th at the Swissotel in Chicago, IL during the Awards Ceremony. Members of the press are invited to come to the Summit and see more about the advancements of technology. The annual Technology Innovation Awards are delivered by the Ventana Research team, which through its benchmark research, on-demand advisory and education services, continues to pioneer new methods for organizations to become efficient and effective in their business. As part of the scoring process and methodology, Ventana Research examined submissions and nominations from the industry and research team to assess, score and select the technology that has the best impact for each of the specific categories. Ventana Research provides the most comprehensive analyst and research coverage in the industry; business and IT professionals worldwide are members of our community and benefit from Ventana Research's insights, as do highly regarded media and association partners around the globe. Our views and analyses are distributed daily through blogs and social media channels including Twitter, Facebook, LinkedIn and Google+. To learn how Ventana Research advances the maturity of organizations' use of information and technology through benchmark research, education and advisory services, visit www.ventanaresearch.com. 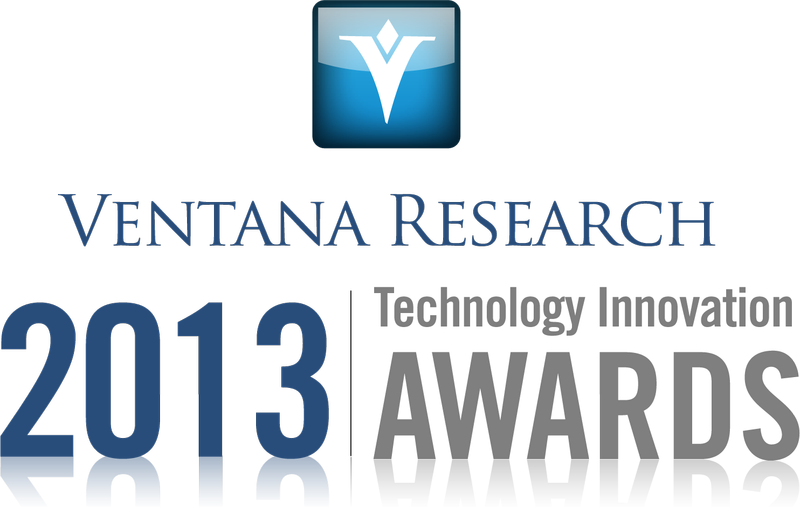 Tweet This: News: @Ventanaresearch 2013 Technology Innovation Award Winners Announced!